Maximize Your Practice is a “game changer,” changing how you learn and think about practicing. We all know practice doesn’t necessarily equate to improvement if done incorrectly. How you practice and what you practice are critical tandems for an art form which demands both rigor and creativity. This DVD was originally created from a master class filmed in Dublin, Ireland as a lecture/demonstration with adult saxophone students. While the DVD is a casual production what he has to say is well worth hearing and seeing. Here are some of the gems you’ll discover: the value of maintaining a practice dairy, use of books or not, instrumental techniques, playing vs. practicing, organization your time, prioritization with intense practice period, length of practice and most important, identifying your weaknesses for specific practicing solutions. 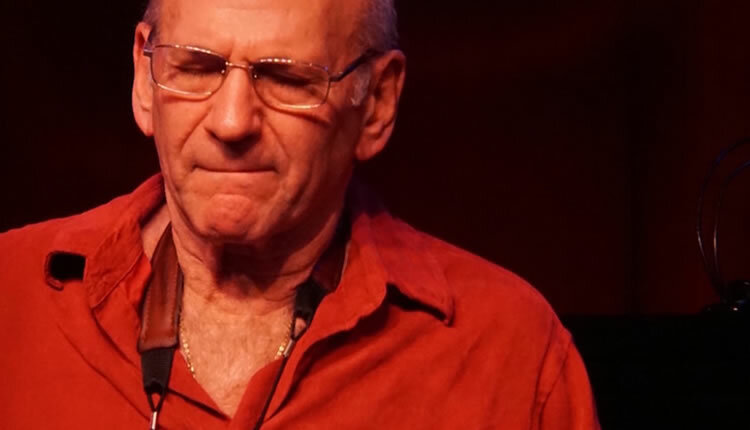 Dave Liebman is a jazz education pioneer with a wealth of experience helping students develop better structure in their practice. Each segment is presented in short, concise, user-friendly presentations. Note: adult language is interspersed periodically so supervision is advised for students use. In summary, this DVD is an insightful resource of guidelines for effective practice techniques for serious musicians. Installing it on your iPod or smart phone for quick, handy use gives added value to its already .affordable price. Web: www.jazzbooks.com. The Alfred Jazz Play-Along, Vol. 4, The Music of Gordon Goodwin, is a top-of-the-flight jazz play-along recording for advanced high school level students and beyond in an improvisation setting. Parts are provided for c, b-flat, e-flat and bass clef instruments. The tunes “rock” with high-energy and offer stunning compositions that will challenge and motivate students. Great for high school and college auditions. Students can demonstrate professional-level jazz chart reading with lots of soloing opportunities. Levels of difficulty range from medium to advanced with innovations like written-out sample jazz solos, listening and improvisation study. A tempo changing program lets you change tempo on the .MP3 CD in your computer. This feature is essential to boost students’ sight-reading capabilities and allow the user to slow down or speed up the tempo without changing the pitch. Adjusting the tempo to stay in control of your practice will be more effective than a metronome providing all the parts to musically coordinate with. Another innovation is there is also an available companion rhythm section book that has parts for piano, bass, and drums. Using both books together will allow the user to create small group arrangements with parts for c, b-flat, e-flat, bass clef instruments plus piano, bass and drums. There are helpful improvisation tips provided by Gordon Goodwin for each tune. The solo The play-along .MP3 CD has both demo tracks and accompaniment tracks recorded by Gordon Goodwin and players from his Big Phat Band which is a knockout! This play-along features the same music that is played by Gordon’s band and featured/performed by Gordon’s Big Phat Band library for unique companion study for practice which is a first in the jazz education market sections offering lots of soloing opportunities. The .MP3 file format also makes it convenient to upload to your smart phone or iPod for easy practicing anywhere with ear plugs. Alfred Publishing is a leader in jazz play-along releases motivating aspiring high school musicians who want to improve both their ensemble “chops” and improvisation skills. I Jazz Saxophone: Tenor Saxophone Method – Dennis Taylor – Hal Leonard – 2009. II HS. Improvisation: Chordal-scalar/Ear Training/Theory/Rhythm patterns. IV Recorded & written examples. VI. Individual. VII. General discography. Jazz Saxophone: Tenor Saxophone Method is an amazing supplement to any tenor saxophone method offering a comprehensive guide with step-by-step instruction. It’s a musical treat in a user-friendly format for aspiring saxophonists. The oversize book is perfect for the music stand. It begins with basics of jazz defining Dixieland to swing, and bebop to fusion along with a jazz tenor saxophone who’s who. Jazz fundamentals, chord structures and common chord programs are cleverly presented. The bulk of the method deals with improvisation instruction based on scale instruction, etudes and exercises. Lessons include soloing styles, melodic embellishment, licks and much more. There are jazz classics incorporated in the lessons tunes like Autumn Leaves, Doxy, Footprints, Maiden Voyage, Satin Doll, So What, Song for My Father and more. The book includes a CD with 87 tracks interspersed throughout the text for demonstrations and play-along. It’s good for intermediate saxophonists who have had some improvisation instruction. This book uses real jazz songs to teach fundamentals and improvising in the sax styles of Coleman Hawkins, Lester Young, Ben Webster Stan Getz, Dexter Gordon, Zoot Sims and many others. Web: http://www.halleonard.com/, 79 pp. I. Brazilian Jazz, Volume 124 – Jamey Aebersold – Jamey Aebersold – $15.90 for book and CD – 2008. II. HS. III. Rhythm patterns – IV. M Recorded solos. V. Play-along. VI. Individual. VII. General artists. Brazilian Jazz is a unique jazz play-along featuring a wealth of contemporary Brazilian music styles well-suited for jazz education. The recordings were made in Brazil using Brazilian artists adding authenticity and excitement. Featured musical styles include samba, bossa-nova, baiao, afoxe, partido-alto, and martacatu. The play-along booklet is a good resource of prominent Brazilian musicians who can found and heard on the web, CD’s and books. The ten tunes are notated for Bb, Eb, treble and bass clefs with chord changes and melodies. A special drum set reference chart provides clear notation for the complicated percussion parts performed in each track. The CD also has nine demonstrations tracks each followed by one or more improvised solos to further model Brazilian artistry. The demo tracks will help you interpret the beautiful music of Brazil. The back cover was a unique feature that coordinates with Jamey Aebersold’s other seven Latin jazz play-alongs for more practice opportunities. These volumes are #31 (Jazz Bossa Novas), 64 (Salsa, Latin,, Jazz) , 69 (“Bird” Goes Latin), 74 (Latin Jazz), 77 (Paquito D’Rivera), 96 (Latin Quarter) and 98 (Antonio Carlos Jobim).. URL: www.jazzbooks.com , 86 pp. I. Standard of Excellence: First Jazz Performance – Dean Sorenson – Neil A Kjol Music Company – 2008. II. EL/MS. III. Rhythm Studies/Charts//Rhythm Patterns/. IV. Written/Recorded/ V. CD Recording. VI. Classroom. If you are new to jazz education or looking for a structured approach on how to instruct students at the elementary and middle school levels, look no further than the Kjos Standard of Excellence: Jazz Performance with its step-by-step rehearsal guide. This comprehensive jazz ensemble method provides essential rehearsal techniques to produce an authentic jazz performance. It consists of ten easy 1st-2nd level jazz ensemble charts that can also be played in a concert band setting. What makes this collection of jazz ensemble charts unique for music educators is the 231 page director’s manual goes beyond the conductor’s score with comprehensive instruction materials that provide a wealth of rehearsal tips, unison solo studies, full jazz ensemble charts, rhythm studies, improvisation starters, and rhythm section tips. The musical styles include rock, Latin and swing. The included CD brings together the Rhythm Studies and unison solo studies with complete recordings of the charts. Students can also download the CD tracks along he Improvisation starters from Kjos Multimedia Library at www.kjos.com . Minimum instrumentation is 1st & 2nd alto sax, tenor saxophone, 1st & 2nd trumpet, 1st trombone, piano, bass and drums. Expandable parts include 5 saxes, 2 trumpets, 2 trombones and standard rhythm section plus mallet percussion. It also expands to full concert band with flute/oboe, clarinet, French horn, baritone B.C., tuba, and cymbals/snare drum/bass drum. This collection of charts is musically enticing and a welcome addition to any jazz ensemble library for elementary and middle school levels and is a bargain with ten charts at an affordable price. I. Jazz Arranging – Peter Herborn – Advanced Music and distributed in the USA by Kendor Music – 2010 – $32.95. II. HS/College. III. Instruments/Harmonizing/Scale voicings/Line writing. IV. Written examples. VI. Individual. Jazz Arranging offers a step-by-step arranging instruction. It covers the basics of arranging instruments, harmonizing techniques, scale voicings and line writing and would make a good textbook for arranging instruction. The 186 pages are in an oversized format with many musical examples. Important arranging concepts are frequently highlighted with colored screen boxes, The text is written in English and German throughout. I . Advanced Techniques for Bass in Brazilian Music – Guilberto del Syllos – Advanced Music and distributed in the USA by Kendor Music – 2010 – $27.00 with book and CD. II. HS. III. Latin bass techniques. IV. Written/Record examples. V. CD recording. VI. Indivdual. Advanced Techniques for Bass in Brazilian Music is a valuable anthology of authentic Brazilian bass performing techniques. It provides insight with written comments, music examples and CD recordings. The tunes and exercises were played on four, five and six string basses. I like the variety of instruction offered beginning with right and left and positioning (pizzicato), open strings, dead notes and first exercises. It excels in proper Brazilian styles like choro, samba, baiao, maracatu, bossa nova with specific techniques such as slapping, hammering;, tapping, and muted notes.. There’s an interesting chapter on percussive right hand imitating the cuica, left hand imitating the surdo and the batuque with both hands. The books also covers the bass techniques and techniques of northeast Brazil such as frevo, afoxe, and sambateado, There are nine unique charts to help students practice a variety of Brazilian bass techniques. The CD provides recordings of these charts plus 37 recordings interspersed through the bass making it a musical adventure. All recordings were made in Brazil. The text is bilingual in English and Spanish throughout. URL: www.advancemusic.com .